So I’ve been trying to plan Halloween themed games for our group class Halloween parties coming up. I teach 2nd and 3rd year students (so ages 8 to 11 ish) and I need so many games/activities to keep these kiddos busy! 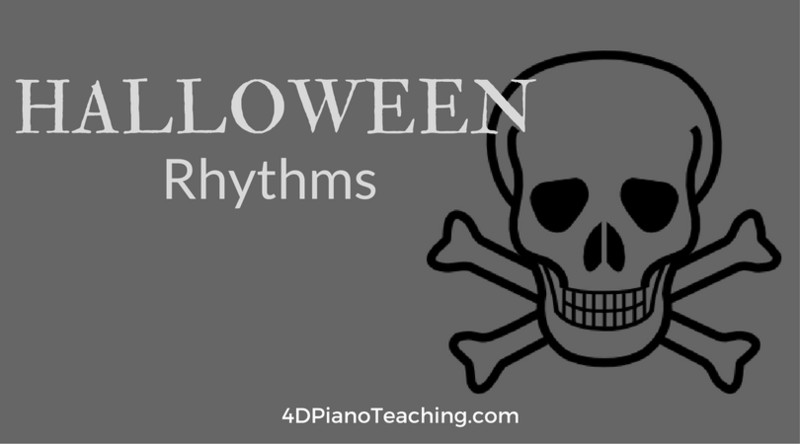 Thus today I’m sharing a simple Halloween rhythm game I’m using for my 2nd year students. The teacher copy contains the words. Depending on how hard you want to make it, say the words in rhythm and if you want to, clap along. Students must find the matching rhythm card. This works for groups or private lessons. 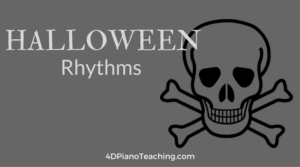 If you have ideas for creepy words, add them in and just make extra copies of the rhythms you want for students to find. Hope you enjoy this simple game! TED Talk Tuesday - "He looks like he's enjoying the music"